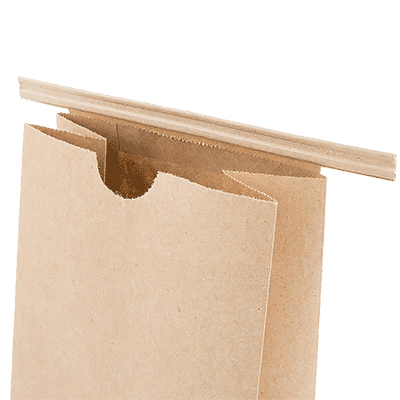 Paper Kraft Tin-Tie Pouches & bags are paper packaging lined with either polypropylene, natural kraft grease resistant paper, or PLA. 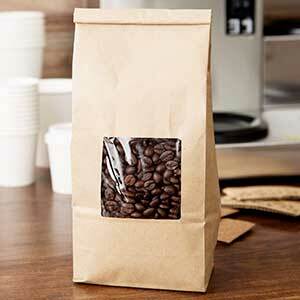 It is most often used as a retail take away bag or for short-term storage. The tin-tie, which is attached to the top of the bag, is used for reclosure. 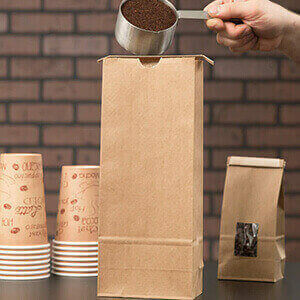 The paper tin-tie bag is an economical, practical way to contain a wide variety of items including coffee, dry soups, confections, natural products and other dry goods.